First time ever that the country has received four organ donors in a month at the Viet-Duc Hospital in Hanoi. 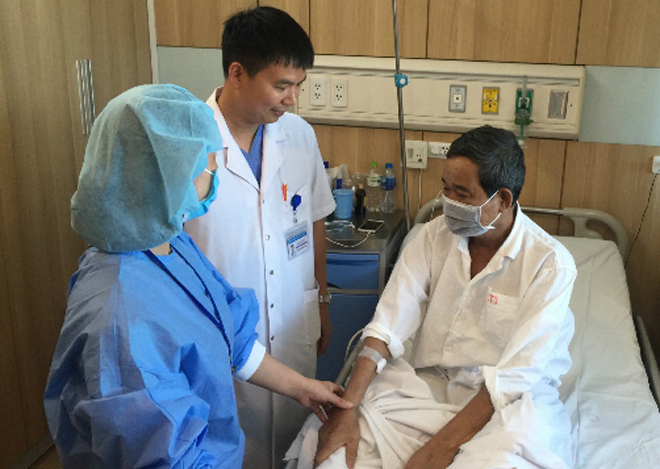 In less than a month, between May 16 and June 13, 16 patients received lifesaving organ transplants at the Viet-Duc Friendship Hospital in Hanoi. The patients at the hospital received four hearts, four livers, and eight kidneys from four organ donors. Hospital director Dr Trang Binh Giang said that it was the highest number of organ donors ever recorded in a month in Vietnam. In the past, there have been occasions when there was just one organ donor for a whole year. Giang said that with such a large number of donors, around 100 doctors had to work overnight, performing surgeries simultaneously on five operating tables. From 2010 onwards, the Viet-Duc Friendship Hospital has saved many lives by conducting organ transplants from 40 brain dead patients. So far, the hospital has transplanted 600 kidneys, 60 livers and 20 hearts. Earlier this year, seven-year-old Nguyen Hai An from Hanoi, who agreed to donate her cornea before she died of a brain tumor on February 22, inspired many people across the country to become organ donors. The National Coordinating Center for Human Organ Transplantation in Hanoi said it had registered 20 people on February 26 and 27, 10 times more than on normal days. An’s story received widespread media coverage, which highlighted the fact that her selfless act gave sight to two Vietnamese adults. It has partly broken the organ donation taboo in Vietnam, where many people believe that one should keep their bodies whole for the after life. Health Ministry statistics show that Vietnamese doctors have performed around 1,500 organ transplants since 1992. That leaves more than 16,000 patients suffering from heart, kidney, liver and lung diseases and more than 6,000 blind people awaiting donations. Vietnam aims to carry out intestinal, uterine, genital and facial transplants by 2020. People in the country can register to donate their organs at either Viet-Duc Friendship Hospital or Cho Ray Hospital in Ho Chi Minh City.